InterActiveCorp (ticker: IACI), was shown on 03 December and again on 13 January, as an example of a stock that fitted my moving average crossover method. The pair of the Dow Jones Food Index v IACI has now gained 24.8% since 03 December and 26.6% since 31 December, when it started rallying. I do not record trades in my trading ledger for these examples as I do for my Bollinger Band and RSI divergence trades. The reason is that they don’t have a defined entry method like the other two. This pair spent the first half of the time since 03 December going sideways and there was no clear way of telling when the trend change would progress. 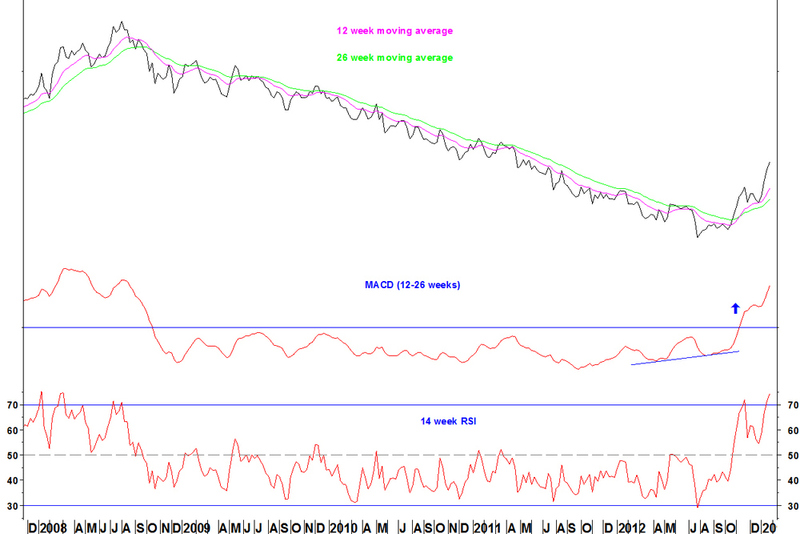 The 14 week RSI is overbought at 74. 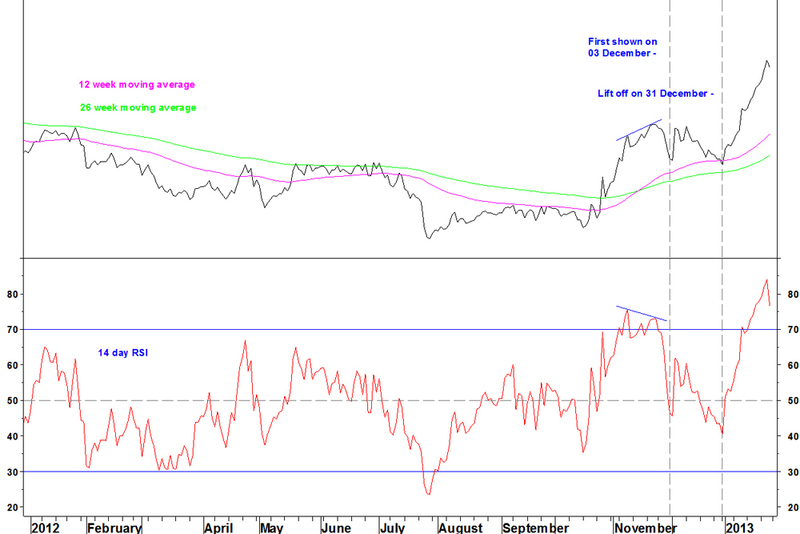 In late November, this RSI peaked at 72 and the pair consolidated for five weeks.